Makes preparing for classroom activities easy! Simply prep trays with painting or other art materials, manipulatives, puzzles or even food. 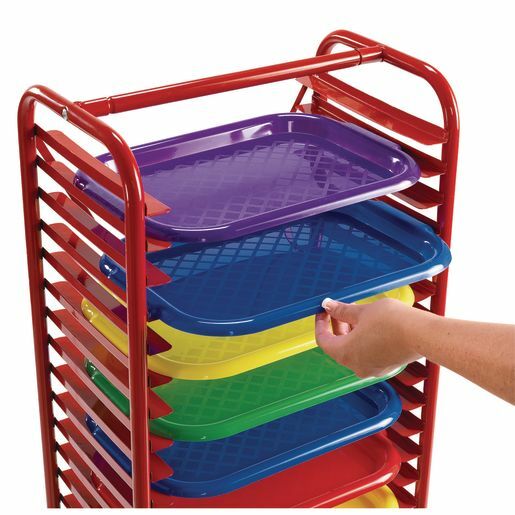 Trays slide easily into slots and can be placed any distance apart. 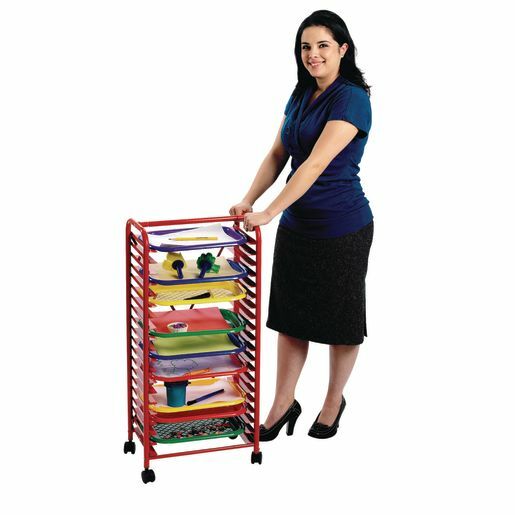 Rack holds up to 10, 15"L x 10-1/2"W trays. Trays are FDA approved and can be used with food. 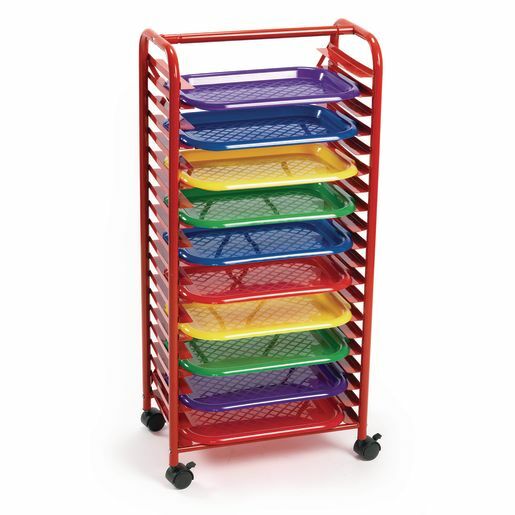 Rack is sold with tray colors of as shown.